There are a million reasons to be excited for this Summer's blockbuster, Wonder Woman. Not only is it the first superhero movie with a solo female lead, but it's also a trip back in time. The WWI setting is something that the DC Extended Universe has yet to explore, and fans are excited to see what the locale can bring to the table. Another exciting fact about this film? Wonder Woman is the first DC film that was guided - in its entirety - by Geoff Johns. The long-time writer/producer was given creative oversight of the DC film slate a while back, and he has been overseeing the production of the entire connected universe. When Johns took over, Wonder Woman hadn't yet started production. This will be the first film Johns will have worked on from start to finish, in this new role. On the Wonder Woman set, Curt Kanemoto - VP of production for Atlas Entertainment - was asked about Johns' role in the production of the film. Kanemoto didn't hesitate in revealing just how important Geoff Johns really is to Wonder Woman. "Geoff Johns is one of our Executive Producers, and he's of course writing on this film. He's been an amazing part of the core team, along with Chuck [Roven] and Debbie [Snyder] and Zack [Snyder] as producers in the core team, along with Jon Berg. He's bringing out all of the treasures in the DC chest, of just going a little bit deeper than we have. It's something you can follow up with him on, with Chuck, just in terms of Geoff's involvement with all of DC." Are you excited to see Wonder Woman blast into theaters this summer? Be sure to give the film an anticipation rating below! Wonder Woman currently boasts a 3.9/5 anticipation score, putting it at #13 in our ComicBook Anticipation Rankings. In Wonder Woman, before she was Wonder Woman, she was Diana, princess of the Amazons, trained to be an unconquerable warrior. Raised on a sheltered island paradise, when an American pilot crashes on their shores and tells of a massive conflict raging in the outside world, Diana leaves her home, convinced she can stop the threat. Fighting alongside man in a war to end all wars, Diana will discover her full powers...and her true destiny. 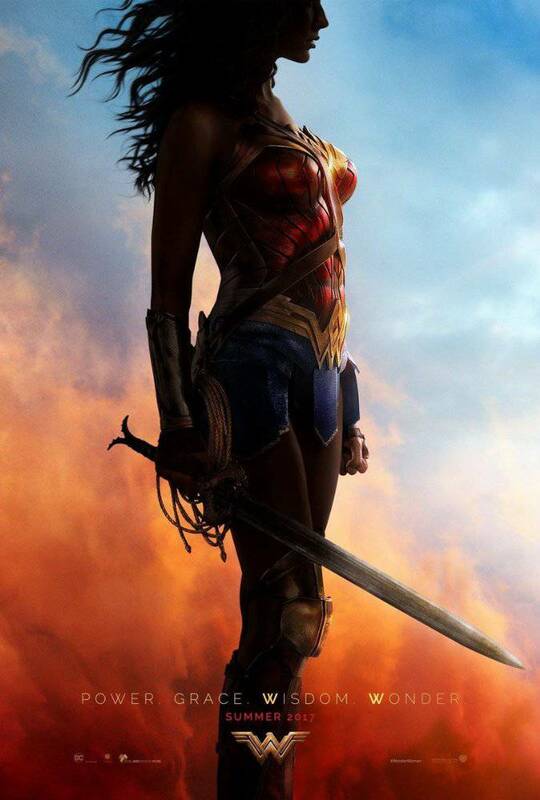 Wonder Woman is directed by Patty Jenkins, written by Allan Heinberg and Geoff Johns, from a story by Heinberg and Zack Snyder, and stars Gal Gadot, Chris Pine, Connie Nielsen, Robin Wright, Danny Huston, Elena Anaya, Lucy Davis, Ewen Bremner, Saïd Taghmaoui, Lisa Loven Kongsli and David Thewlis.